It is replaced by the Janam XT100. Proven performance at an unbeatable value. 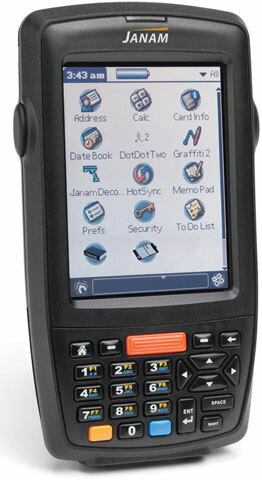 The Janam XP30 is a fast, rugged, economical, solution for all your Palm OS applications. With its speedy "Freescale" architecture and 1D/2D scanning options, the XP30 handheld computer is a platform that pays for itself twice as fast as comparable mobile computing devices. XP30, WLAN, Bluetooth, 1D scanning, 240x320 QVGA color, 266 MHz CPU, 32MB/64MB, Numeric keypad, Palm v5.4.9, 1880 mAh battery. Requires charging/communications cradle. See accessories. XP30, Batch Mobile Computer (SmartScan, Numeric Keypad and Color Screen). Requires charging/communications cradle. See accessories.